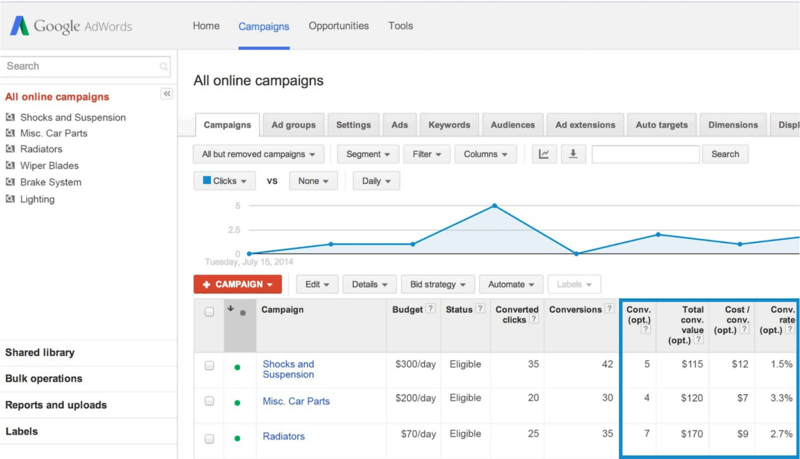 Google AdWords automated bidding allows you to put your bidding on autopilot with the goal of getting the most possible clicks within your budget. It works based on various metrics pulled from your data and will auto-adjust your CPCs and other parameters based on those metrics. You can learn more about it over here. Now, Google is letting you specify which conversion metric to use, from leads, sales, email sign-ups, etc. Google offered an example: For example, Mark's Cars can use conversion tracking to measure the number of used car quote requests driven by his ads, and can now set up his bid automation to only optimize for clicks that drive sales and inbound calls-the conversions that matter most to his business.